One of the most enjoyable aspects of being in a hotel that is a skyscraper was being able to view the expanse of Dubai from all levels. Viewing the crisp blue waters of the Arabian Sea at various times of the day was an absolutely gorgeous site. Seeing the architectural beauty of minarets and domes of the many Mosques’ was always awe-inspiring and the Burj al Arab at either sunrise or sunset is a sight to behold. Moving around the hotel to observe the city through a myriad of vantage points was an exciting adventure. The elevators had windows so one could view the best of Dubai as you traveled the complex. 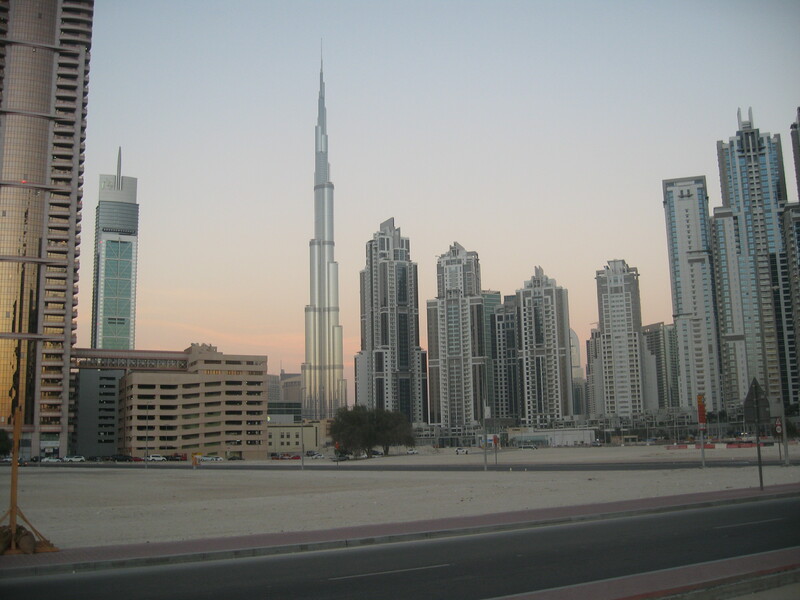 8.26 million people live in Dubai. 6th richest country in the world. Longest first automated train that opened on 9/9/1999 with red and green lines plus, this is another great way to see the city for a few “UAE Dirham’s”. Safest country in the Middle East since, cameras are everywhere! Road and street lights are powered by solar panels. 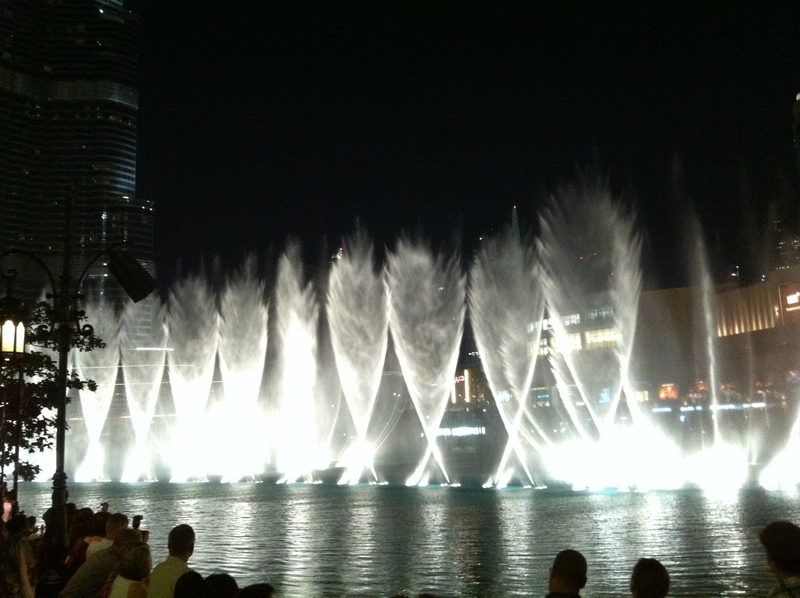 The Dubai Fountains at the Marina has the largest choreographed fountain system on the 30-acre manmade Burj Khalifa Lake. 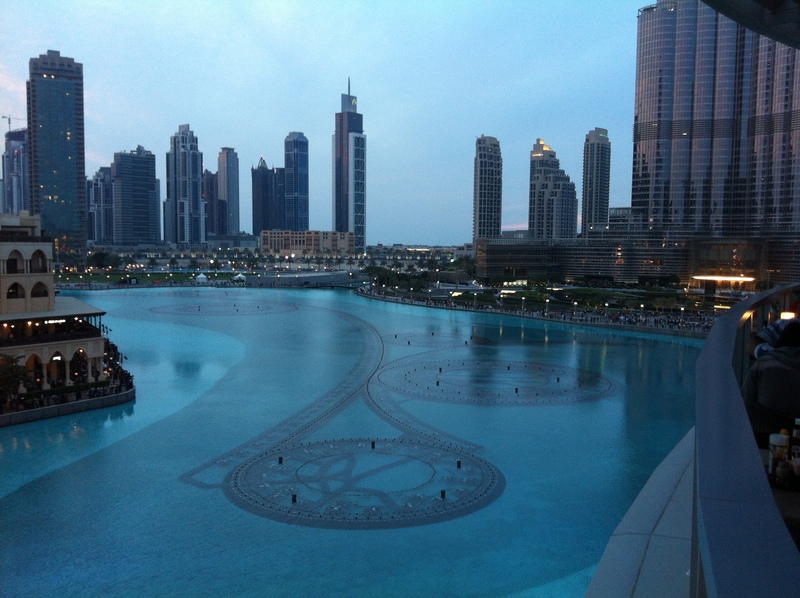 Photos of the Marina before and during the evening show!! The fountains performances are accompanied to classical and modern music, and will spray over 22,000 gallons of water in the air with a most spectacular light show!! 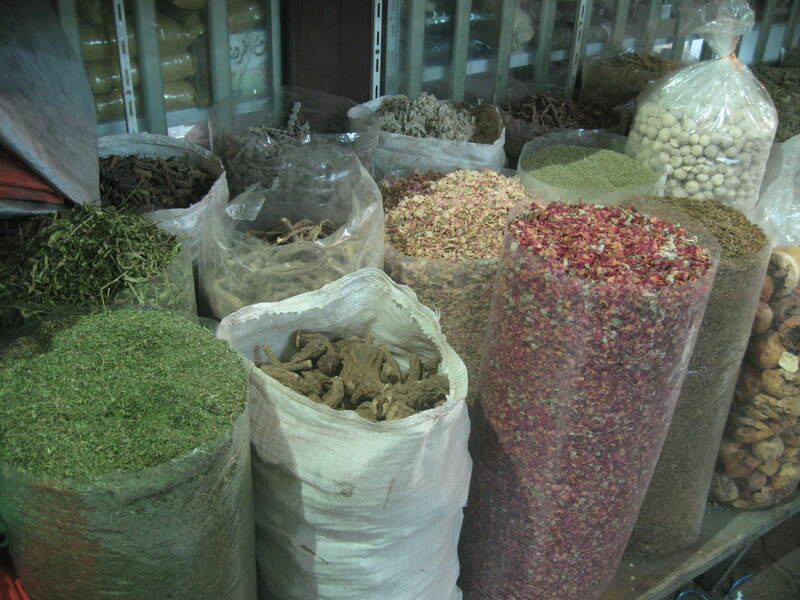 As much as I love gold and seeing people wearing the dazzling pieces, I preferred the spice souks, which was a true experience in the sights and aromas of the many products being sold. The camel at Jumeirah Beach was a colorful addition to the sand and surf!! 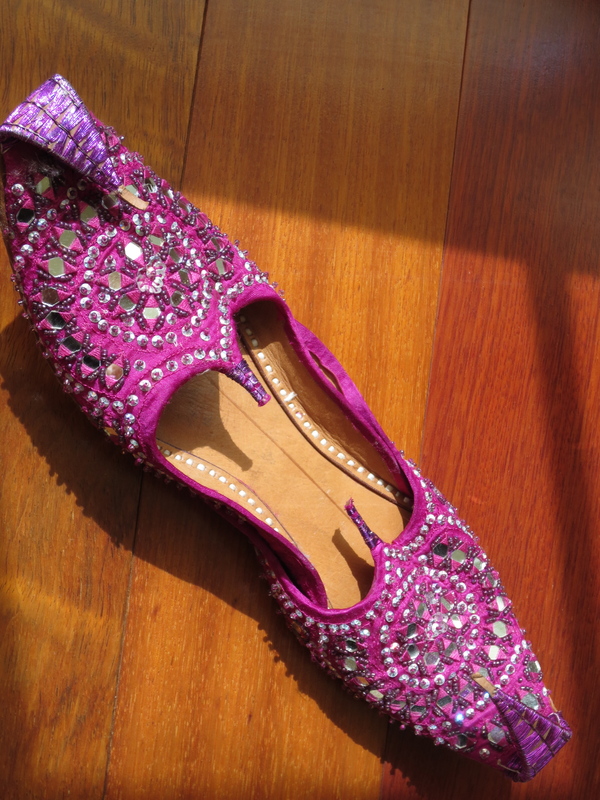 And what girl can go into the souks and not purchase a pair of slippers. The colors and ornaments of each pair were absolutely gorgeous, making it difficult to choose! Hi Stylish Heath, I second the notion that Dubai is an incredulous city. Wow!!!!!! Absolutely stunning photos you took. 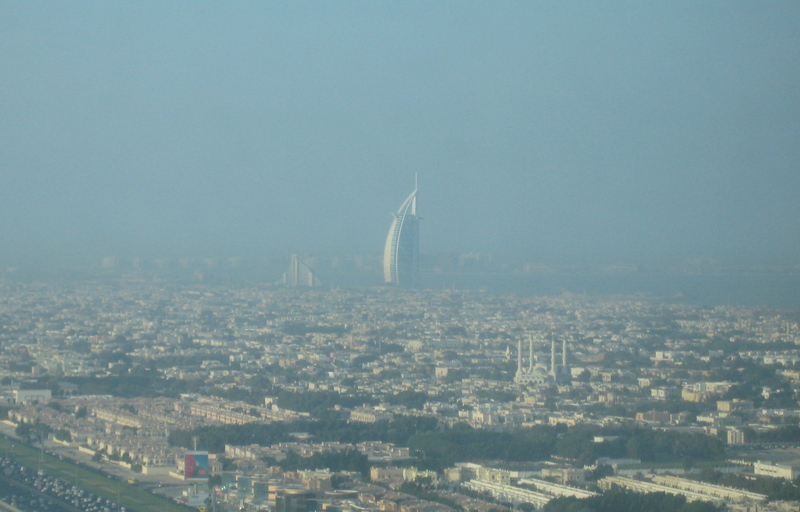 Loved the aerial view of Dubai from the JW Marriott. 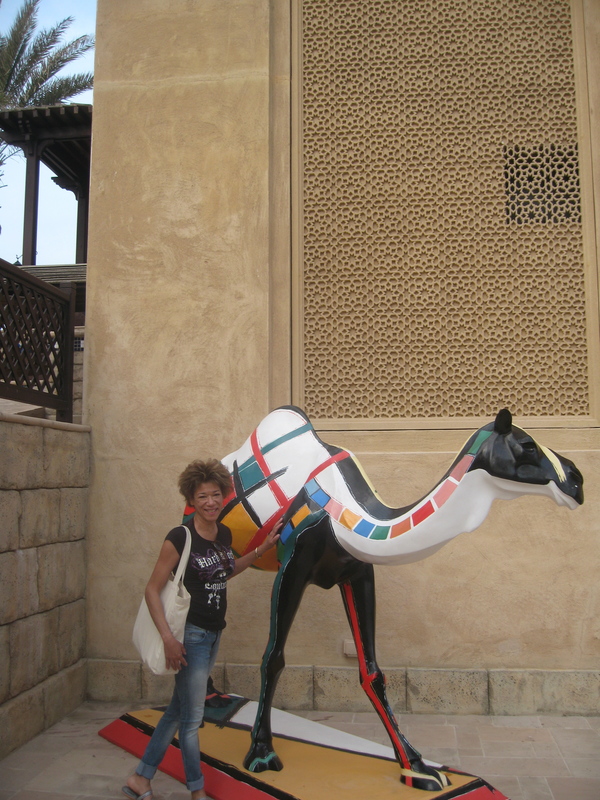 And what an adorable pic of you and the camel at Jumeirah Beach. 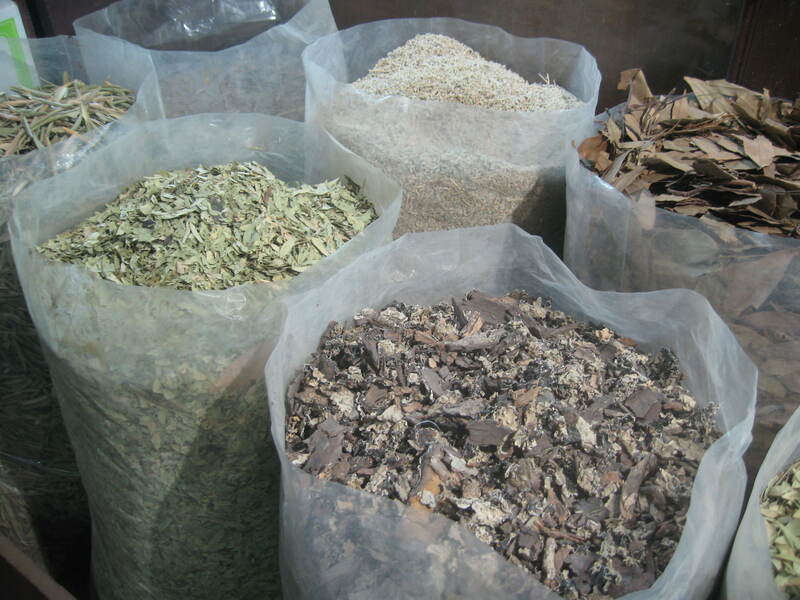 I really enjoy your blog. Very stylish and uplifting………. Thank you so much for your kind words and for reading Stylish Heath, please stay tuned for more adventures!!!! One word comes to mind…Awesome!!! I had wonderful memories writing this blog, recalling the sites was truly an awesome experience. My luggage was lost in Paris for almost a week, but that did not alter my outlook during the trip! !